g. Once we have header, we will insert data section. To do so, click on the Data button. 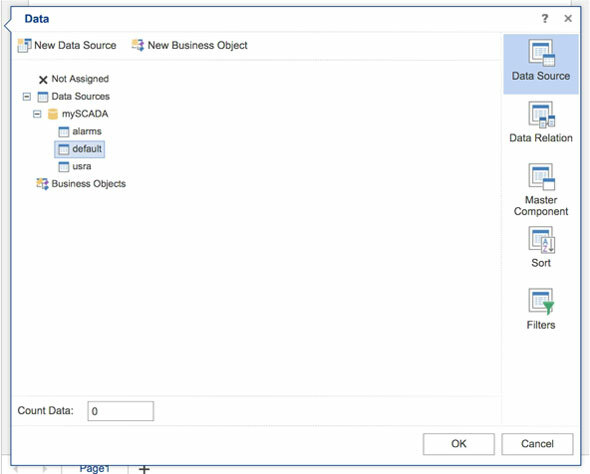 In the provided dialog, select the default data-log as data source. Once you click on OK button, data section is inserted into your report. i. In the dialog, select the column from data-log you want to show. 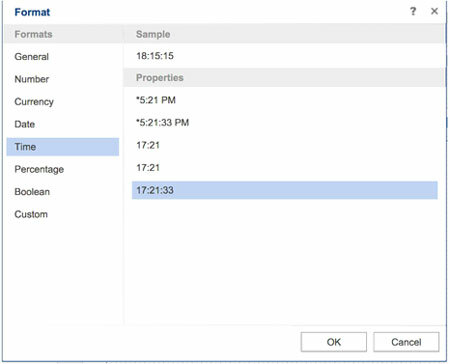 We will select and insert a datetime showing a date and time of the record. 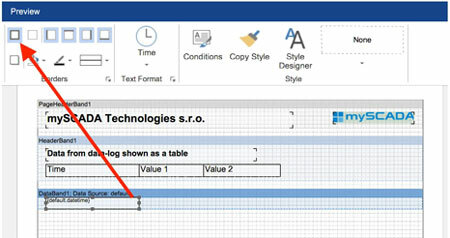 Once entered, you should format the text to show the time value. 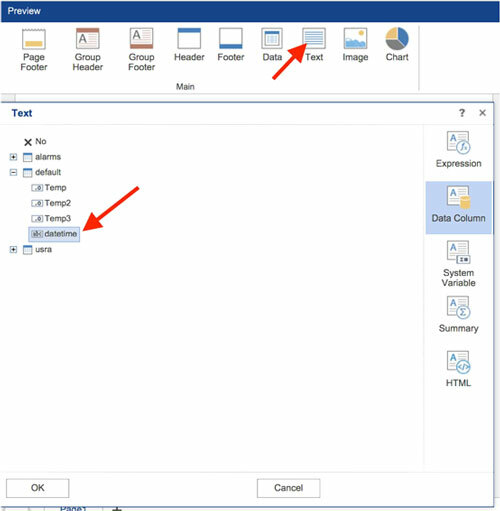 To do so, select Text Format in Properties. j. 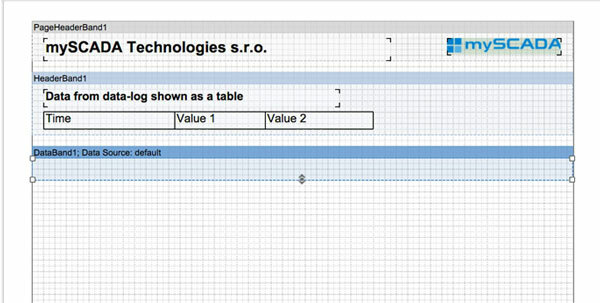 You can also add border around the table cell. To do so, click on the border button at the ribbon. k. Now add additional columns same way as you have added the date time column. You can leave the text format to general or change it to number and format as required.